Happy Monday! This weekend was my good friends' baby shower and since her bun in the oven is a girl, I wanted to wear a share of pink. Once I put my outfit together, it coincidentally felt like a Valentine's Outfit as well, so I felt like it would knock two birds with one fashionable stone since we are doing a Valentine's Day link up party at San Diego Style Bloggers (here)! I capped it off with gold touches for an added pizzazz. Great look! I'm loving the fabulous cap toes and congratulations to your gorgeous friend. oh I love that bracelet!Want to follow each other on gfc and fb? That blouse is so pretty and the color is perfect for the shower! Yaii for babies lol. Love your choice of outfit for this event. thanks for stopping by my blog - following you now! love the gold and black shoes - too cute. 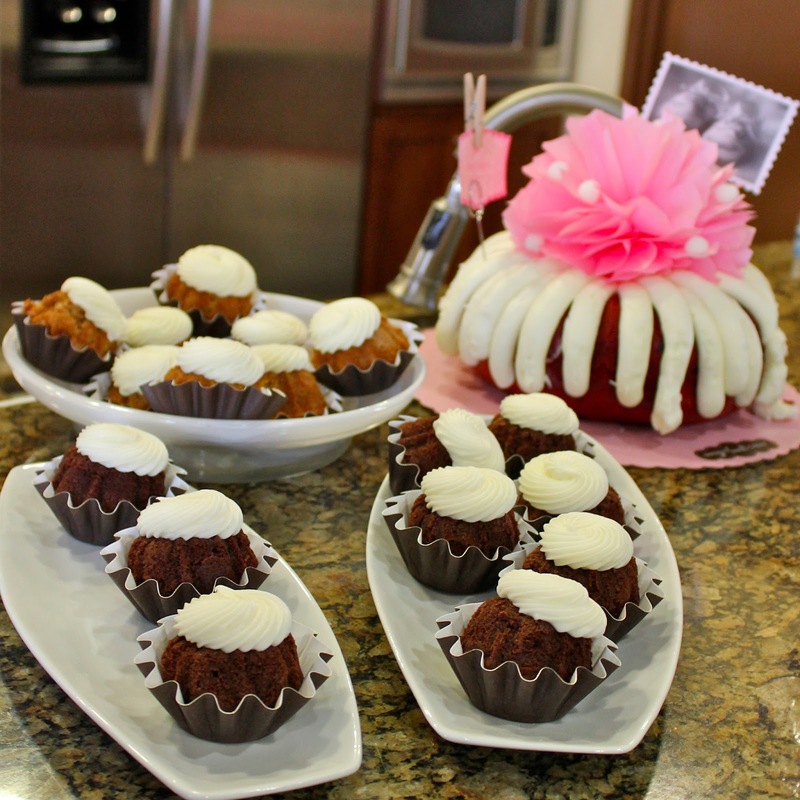 and the baby shower looks like it was a success!! You look stunning! 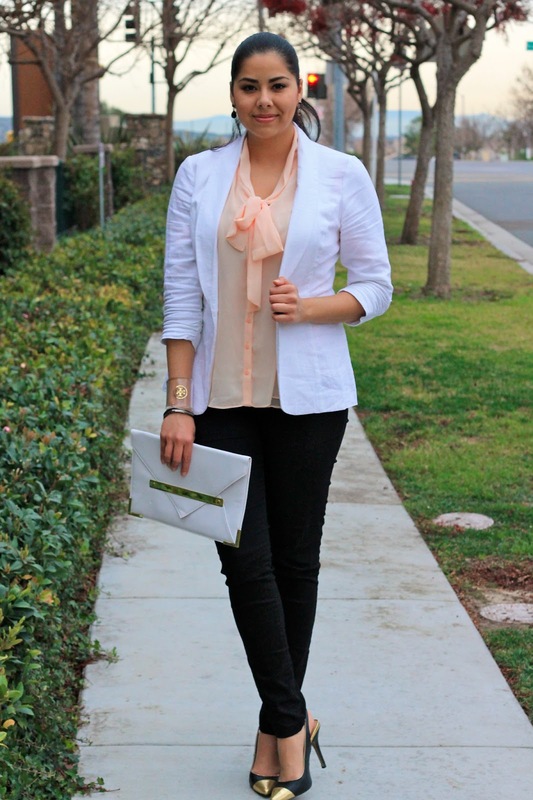 Love the blush blouse! I remember seeing those heels online at Forever 21, really wish I would have gotten them now because they look great with this outfit. I'm loving your bag as well. The shoes again! ♥ You have a fabulous body. Love the soft top & black pants together!